Well, well, well. CD Projekt Red just hosted a conference for investors, revealing some of their plans over the next few years, and it turns out there’s another triple-A RPG in the works. 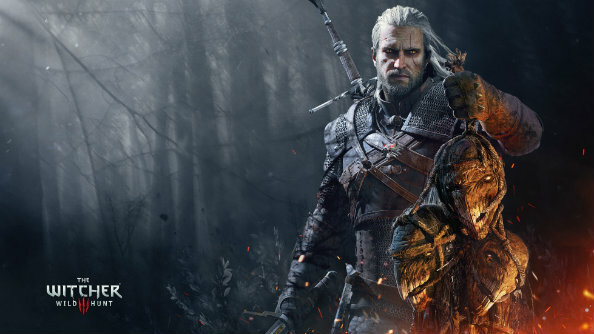 Could we be getting The Witcher 4? Let us know if you agree with our picks of PC’s best RPGs. Outlining the studio’s plans between 2017-2021, president of the board Adam Kicinski, and CFO Piotr Nielubowicz revealed that not only would Cyberpunk 2077 release during this period, but so would another unannounced triple-A RPG. Let me remind you that Kicinski previously said another The Witcher sequel might be on the cards because leaving that world behind “wouldn’t be fair on the fans”. CD Project Red look set to increase their output, too, as the studio plans to double its workforce, taking the number to around 450 employees. These are to be divided into four teams. Even more surprisingly, there’s apparently a CD Projekt Red game coming out this year, as well as the upcoming Blood and Wine expansion for The Witcher 3. Kicinski said this game would be something the developer is not used to making, which has triggered speculation that it’s a VR title. My guess is VR Gwent, but I will probably be completely wrong, so don’t remind me if I am, but I’ll link back to this if I’m right. Deal? This growth is possible because of how well The Witcher series has done, I’d guess, so I can’t see the studio leaving that safety blanket behind any time soon. At least the series has got progressively better with each installment. Speaking of The Witcher trilogy, CD Projekt Red also revealed the series had collectively broke 20 million sales worldwide, although how that splits between the three titles wasn’t revealed. What do you make of this news? Do you want another The Witcher game? Are you excited about Cyberpunk 2077? What do you reckon this mysterious 2016 launch is? Let us know in the comments.